There are now so many options for TV, telephone and broadband that it can get very confusing, with many households paying separate amounts for all three essential services. However, there is a much better way to get a better deal on these services, and that often means combining them into a single telephone, TV and Broadband package. We will help you to do just that, so that you can help reduce your monthly bills and perhaps even end up with a faster Internet connection and a better TV package that you are currently paying too much for! Before you go any further and look for a better deal, it is time to think about exactly what you and your family need out of such a deal. It is important to consider how much you actually use these services and what for. For example, take the telephone: Do you need to be able to make unlimited calls all day and all night? Or do you use your mobile phone more during the day when you are out and about and so only need to be able to use the house landline during the evening or perhaps on the weekend? Consider your broadband connection. Is just one person using it occasionally? Or do you have a large family that use the Internet all day? What about your TV package? Are there certain channels, such as sports that you just view beyond that of freeview? All these things are really important to understand so that you make sure that you get the most appropriate deal at the right price. The other important thing to do is to work out exactly how much you are paying for these services at the moment. A quick exercise in totalling up your monthly bill for each service can often be quite surprising. This will also help you to calculate how much you are likely to save when you start having a look for a better deal on your telephone, broadband and TV. It really is good practice to regularly review how much you are paying for all your bills. It may be worth speaking to your current broadband provider to see if they will offer you a better, packaged deal. In many cases they will, especially if you say that you are going to leave. However, a really useful way to find out what you should be paying for all three services every month is by using a comparison website. These will help you to work out exactly what you should be paying and what is on offer for that amount. Comparison websites must now display what is included in your package very clearly, including the line rental that you will be paying. Sometimes it can be quite confusing as prices will vary greatly depending on what broadband speeds a company says they can offer you, as well as what unlimited calls are included in the phone option and what channels are included in your TV package. Therefore, it is important to take some time out with your family to think about which package will meet your needs and to ensure that you choose the best deal for you. Many new packages will provide a promotional deal when you sign up as an incentive. Remember to factor this into the packages whole contract period so that you can work out exactly what you will be paying. Some companies for example, will offer half price broadband for six months. If you choose a package with an option such as this it is important to remember that the cost will increase after this initial period. Another key consideration is if you are likely to need to cancel the contract during the initial period, as this can lead to significant cancellation charges. 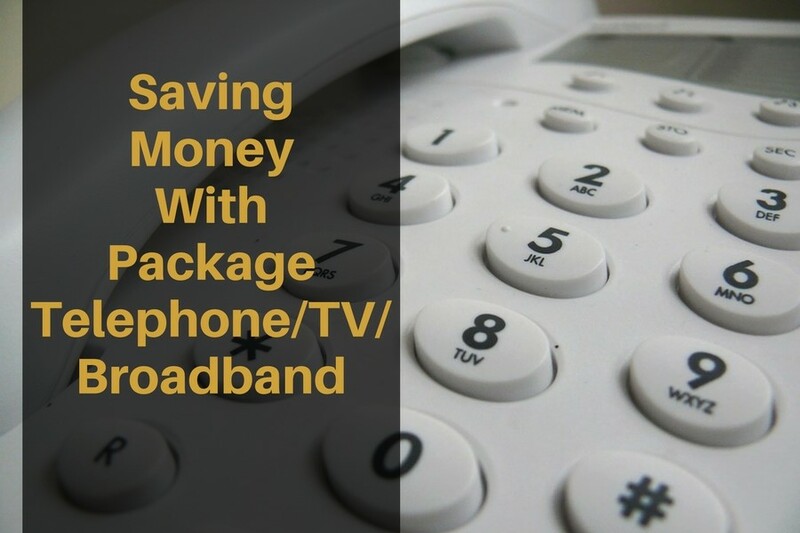 Choosing a broadband, TV and phone package can be quite tricky. However, it is really worth giving it the time that it needs as this can really help you and your family to save money.